If you enjoy epic battles between good and evil you will love this one! 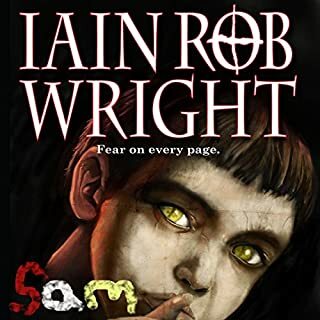 I will say that it had great characters and a nice twist to set it apart from the usual. I enjoyed listening to this book. I've read a few of this author's other books and this is definitely different to his other works but just as good. Scarlet Thomas and her dad move to Redlake for his work and because it's a new one, her dad is working all hours. Scarlet has no friends yet but has a job in a book store, which she enjoys. While walking home one evening by the lake, she comes across a naked man who seems to have lost his memory. For some reason she takes him home but he disappears when her dad comes home. Next day she is again walking near the lake when a stranger approaches, he calls her the spark and says she needs to be destroyed. His touch burns her but the man from the night before suddenly appears and saves her. She runs to the book shop and what is revealed will change her life forever. This was such a unique book and one I devoured. I pretty much everything about it. Characters: Loved Scarlet, she is a strong girl but also just looking to be safe and loved. Sorrow, it's the name Scarlet gives him because he can't remember his own. He is there to keep Scarlet safe and takes his job seriously! He is a mysterious enigmatic character and I need to know more!! Then we have the "bad" guy. Gosh this dude is like the terminator cause he kept coming back and was nearly invincible! So cool!! ;) All of these were well written and developed and easily likable. In all, this was an action packed, unique and gripping book. I am totally invested in these characters and need to know more, I need to see what happens Scarlet and Sorrow and just what is up with her mother?? In other words, I need book 2 now!!!! Nigel Patterson, what can I say!! He has such an easy voice to listen to and made for an amazing Sorrow!! He even had a good female voice. He really brought this story to life and I hope he narrates the next. What defines a "Bad guy/girl"? Scarlett is a 16 year old girl, living with her single father. She is a loner, and her father is clueless how to deal with a teen girl. As she walks home from school one day, she comes across a naked man by the shores of the lake in town. So starts an adventure Scarlet could never have imagined. An angel, for lack of a better term, is hunting her because she has forbidden power, even if she doesnt know it. The naked man, who Scarlet names Sorrow, is actually a "demon" sent to protect her and make sure she survives. 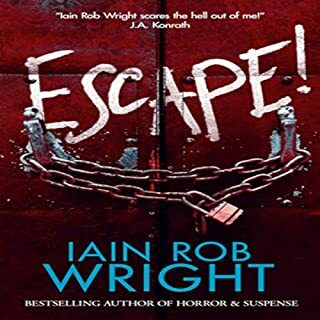 What follows is a harrowing race against time, with a secret society with ulterior motives, magic, a maniacal "good" guy trying to kill Scarlet, and a climactic finale that will leave the reader satisfied, but waiting for the next installment. 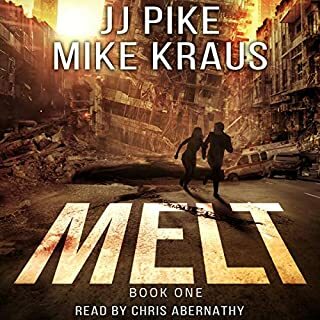 The characters are well written, with snappy dialogue and a plot that has some interesting twists and turns. No one is who they seem, and there are surprises aplenty. 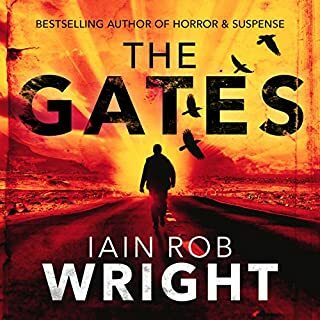 Nigel Patterson does his usual excellent job narrating, handling all the variations of British, Welsh and Scottish accents with a deft touch, and keeping the narrative flowing with grace and character. I was given a copy of this book by the Narrator at no cost in exchange for an honest review throught Audiobookboom. 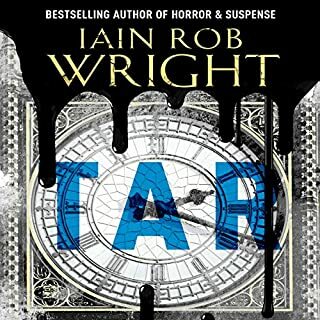 This was a good book,not what I expect from Mr Wright.I felt it was more a YA novel.Nigel Patterson is wonderful narrating this story of a girl that doesn't know she is a witch.There is a demon out to protect her and an Angel out to get her.It felt like a lot of other books I have read lately. What did you love best about Wings of Sorrow? Sorrow was my favorite, he was kind and lovable. His naivete is endearing. Don't think I have, he is extremely good and I have told another author about him. Excellent rendition of a great story! Yes, I found the pace quite right to allow my imagination to keep along with the storyline. This is a great story and was performed wonderfully. 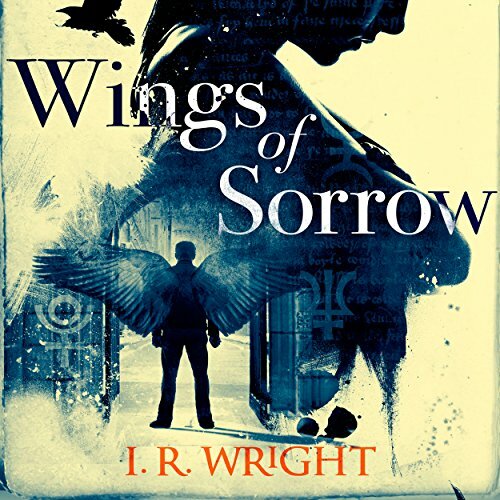 What other book might you compare Wings of Sorrow to and why? Can't think of anything similiar. I like when Sorrow initially comes out of the water naked and totally clueless that this is not the norm. I found myself chuckling. It was enjoyable, I will listen to the next one when it comes out. I love the narrator he always does a great job. I did receive this for free for my honest and unbiased opinion. It has a lot of story it could have told. ...I found the narrator had only one voice. As in, all the characters sounded the same. But, in saying that it was still enjoyable. A highly recommended story from one of my favourite authors. The book is both entertaining and believable, with realistic characters. One I am definitely going to recommend to my teenage children. 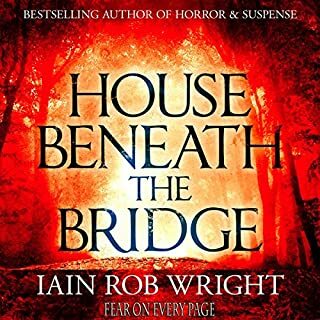 Nigel Patterson's narration is perfect as always, he is easily one of the most consistent narrators in the business. Yes, it's a great story and the narration is just awesome. If you could sum up Wings of Sorrow in three words, what would they be? What other book might you compare Wings of Sorrow to, and why?